Horror films aren't scary because of their props but because of how they devise themselves. Alien was not scary because of the Alien but how nerve-racking the whole thing was. Alien was a great film because this was understood and every element was being utilized at a sophisticated level. Aliens understood this, Alien 3 understood this and yes even Prometheus understood this. Prometheus wasn't scary in the least. Understandable, I merely was attributing that to the technique and not the overall impact. Unless you felt that it was not the case and if so could you elaborate? All the emphasis placed on seeing the monster was certainly a factor, but it is far from the only thing about Alien that was scary. It was this whole no way out everywhere they turned that worked for it and the film knew how to consistently ramp that up. makes it all more scary. But to me personal if there was a xeno i wouldnt be mindless afraid, if there was somekind of other undefined creature around or intelligent being i would be more scared and panicky. no matter who directs it or writes the movie, you have to bring new cards to the table. Well I'd probably argue there was a lot in Prometheus that wan't sophisticated at all. Like the terribly weak aspects of the script. Yeah total mixed bag lol I don't want to find uncooked eggplant in my bag of delicious candy delights. I'm just stopping by to see if anything has happened. All i feel is total indifference. A movie about a creature who will look different to the Xenomorph, but in the movie's title there will be "Alien" in it. To be honest, i don't care. It's like Prometheus all again. Well, tonight i will watch the movie "Stranded" with Christian Slater which sounds very similar to Alien. Alien Covenant is on the same level for me like Stranded or Prometheus. Just another sci fi horror movie with an hostile alien. Not "OUR" Alien. It's like they would drastically change the Predator's design in the next movie just to make something different. The only predatorish on the movie would just be the title. It could be a Hirogen now as well. It's not "OUR" Predator anymore. still waiting for a REAL Alien movie. There are traditional Aliens in it. There's just a brand new variation to go alongside them. Personally, even with the issues prometheus had I greatly prefer this new direction to another AvP or another shabby alien movie like resurrection. The series was going nowhere and had lost a lot of credibility, at least now we have a real effort to try something new with real talent behind the camera again. Besides the original alien is suppose to be in this film as well. I'd love to see this design BADLY! It would explain nicely how the "Neomorphs" first had eye socket type areas on their skull and the evolution of it into our favorite Xeno in Alien. I'm probably in the minority but I hope they stay FAR AWAY from the Deacon design. It was an un-inspired, lazy, poorly executed, non-scary design. These traditional aliens aren't going to be the same like the Deacon from Prometheus? That's what i think that happens if Ridley Scott himself said this. You can't win as an Alien fan apparently. I just want to go on record to say I think the info on the Neomorph creatures sounds great. I'm personally really looking forward to seeing them on screen. 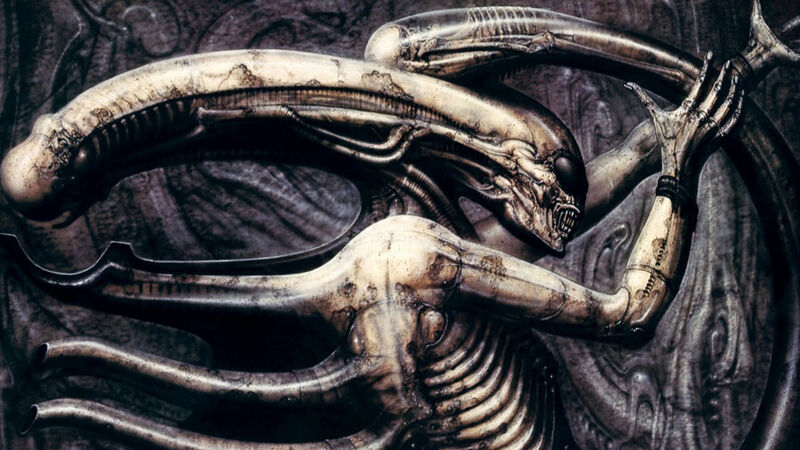 And with the news that the classic alien designs are also making a triumphant return to the silver screen I think we are in for a real proper epic Alien feast from one of the most visionary director's of our time, and one of the driving forces behind the original 79 film's success and longevity. I think we are in for a real treat. On the other hand i'm relieved that Ridley Scott's movie series prevents Neill Blomkamp's real Alien movie, because it sounds to me like another Alien Resurrection. I only called Alien sophisticated though. I personally felt that on a technical standpoint it did well. Script and pacing was another thing however. Oh I agree, from a technical standpoint it was excellent. It's a shame the story and characters didn't even come close to matching up. Well, from the looks of it, it sounds like they are making a fresh start with Covenant. The Neomorph idea gives me the impression that it will be another rundown of questions with no answers and I really hope they don't use the whole "because of the black goo" all over again.